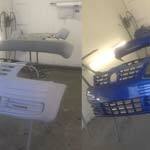 The company established automotive refinishing industry in 1998. 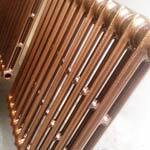 Our mission is to expand and continually improve utilising quality practices. 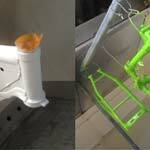 Provide the best and most efficient possible powder coating / wet spraying both in the domestic and international markets. 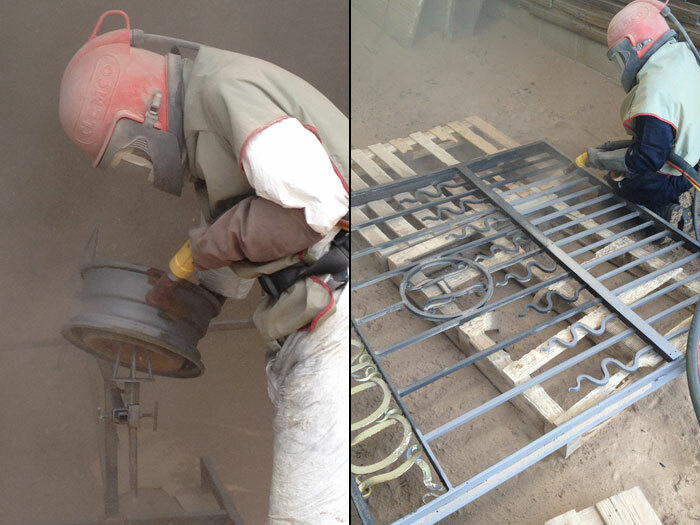 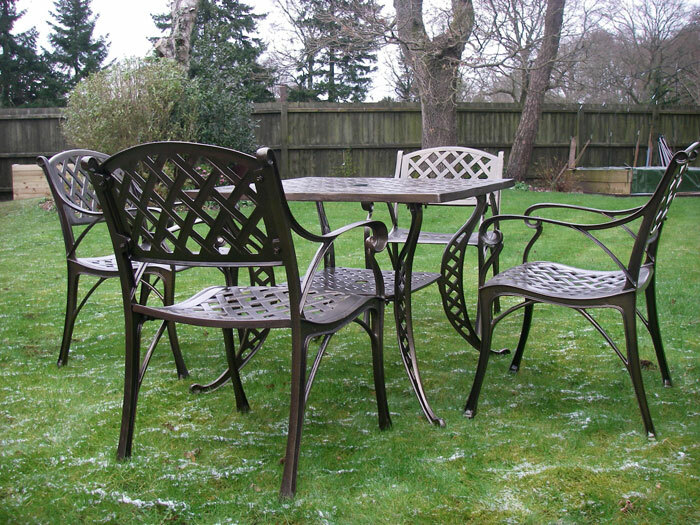 Precision Coating Systems was established in 1998 and specialise in blast cleaning and re-painting rusty, flaky metal garden gates, railings, fences and metal garden furniture using a special powder coated finish. 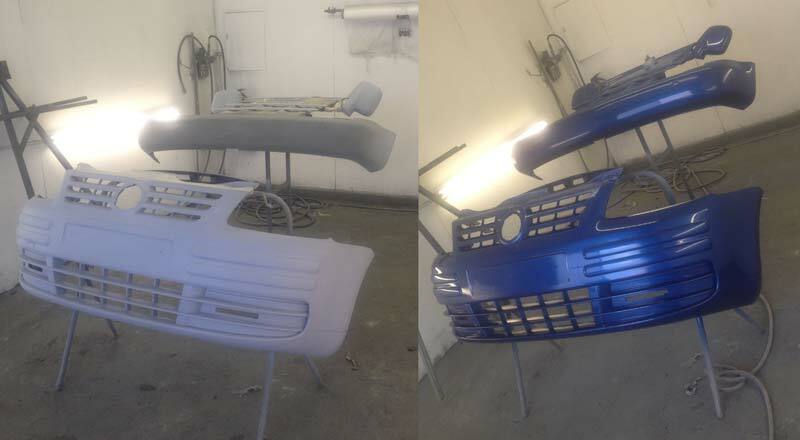 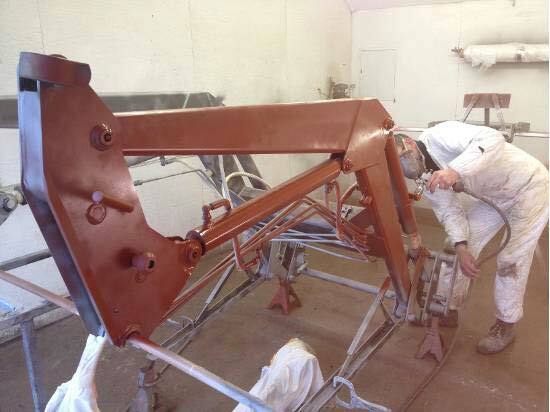 Also all rusty vehicles, wheel trims and any metal machinery, agricultural, plant construction vehicles and Heavy Goods Vehicles, vehicle attachments, containers, skips and oak beams, can be re-renewed using the best quality powder coating to give a long lasting finish. 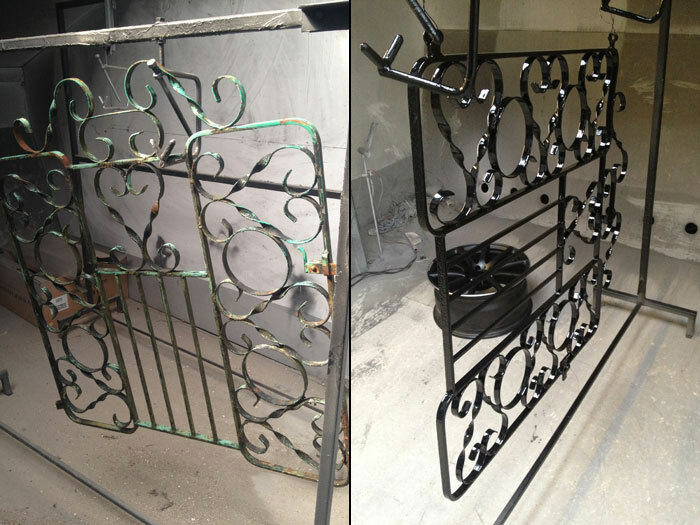 Photo gallery below shows examples of our work including before and after photos of refurbished metal gates. 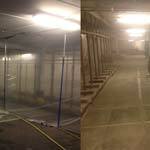 Cleaning surfaces or preparing surfaces for recoating can be achieved by using many different methods from sandblasting, glass blasting, shot blasting, paint/power stripping and acid dipping. 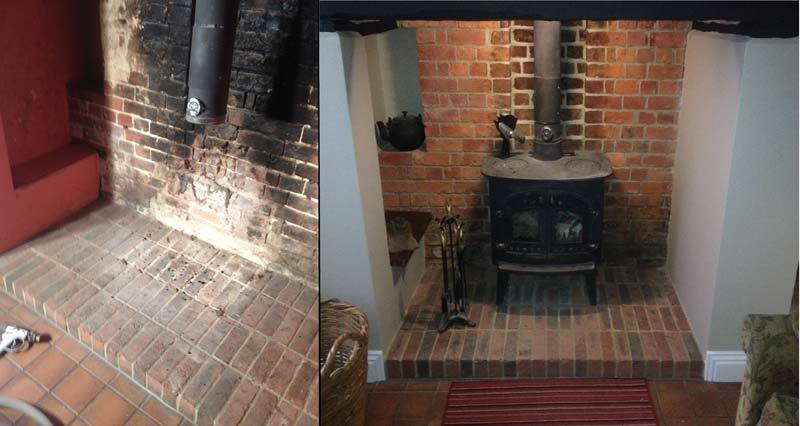 Our aim is to use the very best efficient method and to re-new, re-furbish, re-paint or re-coat any surface to make it look like new. 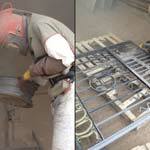 Iron is a strong, metal; as such, many gates are made from it, however Iron is not resistant to rust. 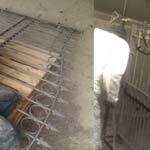 After years outside, iron gates, even if they were painted, most likely need attention. 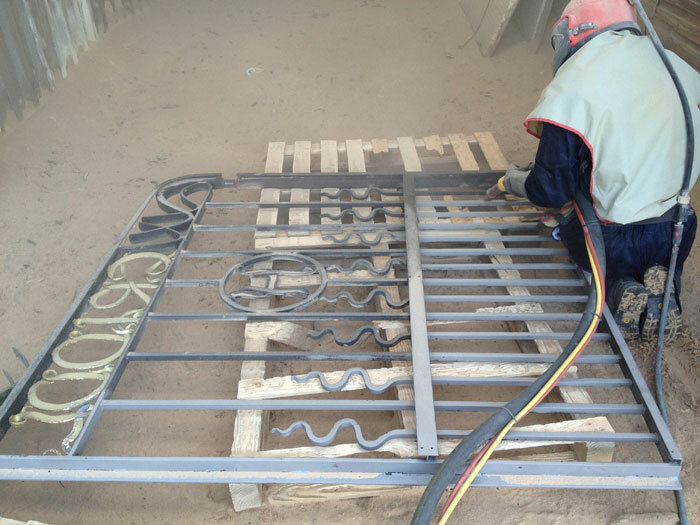 Rust forms on unprotected parts of the gate, especially near the hinges and lock area where paint is likely to chip or break off. 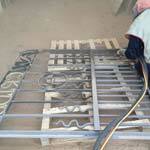 A simple solution is to repaint the gates after removing all the old loose paint and flaking rust. 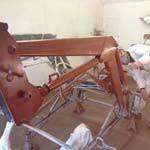 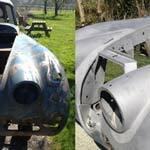 Sand-blasting is the quickest way to remove old paint and rust from metal work and gives a smooth finish. 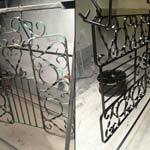 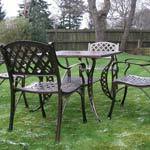 It is ideal for ornamental wrought ironwork. 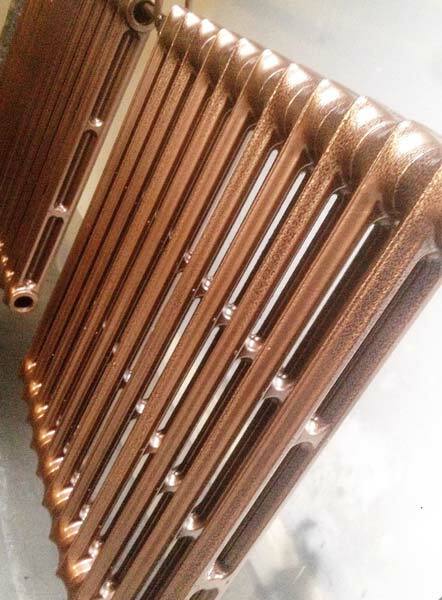 The hard physical work to actually rub down, eliminate all the rust, using a wirebrush, go to the DIY shop, buy and re-paint any ironwork can be very time consuming, so the service offered by is prompt and professional and we take away all the hardwork and give you peace of mind. 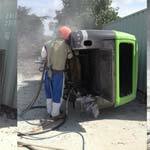 Shot blasting is a highly effective method used for cleaning or preparing surfaces for recoating, using an abrasive material forced through a jet nozzle. 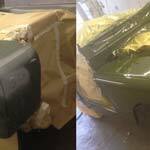 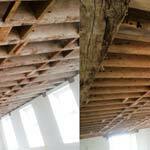 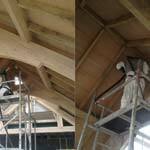 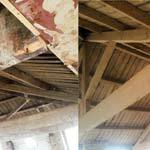 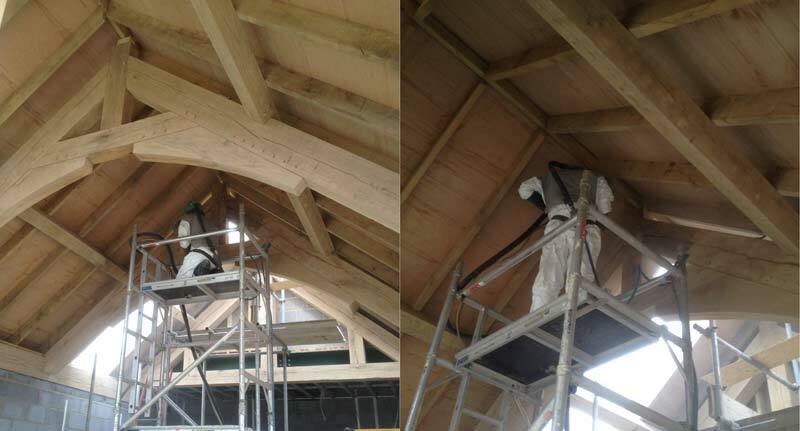 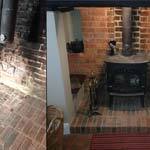 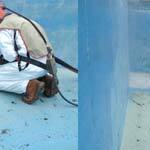 Shot blasting can be used to clean hardwood, metal, brickwork, concrete or stone.